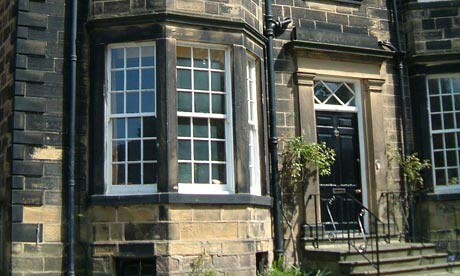 Why Choose Sash Windows For Your Home? If you’re considering replacing the windows in your home then why not opt for an elegant sash? The classic design of sash windows has totally stood the test of time and unlike other styles, sash windows are as popular today as they ever were. Read on to find out more about why sash windows could be the ideal choice for your home. Sash windows first became popular during the Georgian era. They were constructed from large single panes of glass which made them difficult to manufacture, so only the very rich could afford them in their homes. Sashes became de rigeur because they let so much light into rooms, which meant that wealthy people who had lived in dark and dingy spaces were suddenly bathed in sunshine during the day. The industrial revolution made the manufacture of lots of products much easier and glass was no exception. It became cheaper and by the Victorian era it was the norm for all types of home to feature glazed sash windows. Sash windows fell out of favour in the middle of the last century and many fine examples of traditional window making were destroyed during the fifties and sixties, as the fashion for all things modern took over. The demand for traditionally made windows dropped as modern alternatives like uPVC took over. However, in recent years the UK public have become far more interested in their architectural heritage and legislation has been introduced to ensure that older buildings are not divested of their character. 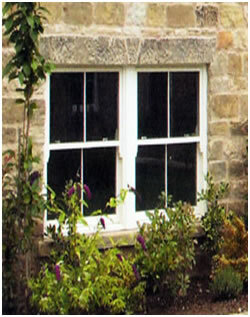 Homeowners that would once have made do with uPVC are now obligated to fit windows that are in keeping with the era of their home and due to concerns about aesthetic appeal and the environment, owners of modern homes are also choosing to install traditionally manufactured sash windows made from natural, sustainable materials. Sash windows perform the difficult design trick of being both modern and traditional at the same time, so whether you’re updating the windows in your splendid Georgian manor house or your city centre modernist masterpiece, you’ll find sash windows that will perfectly compliment your space. In Georgian times sash windows were constructed from single panes but today you can find double or even triple glazed models that will make a huge difference to how well your home retains heat, as well as blocking out most outside noise. Older sash windows can usually be opened via a rope and pulley system that sits within the window frame but can be prone to breakage. 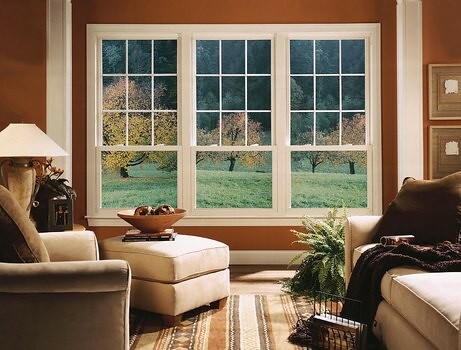 More modern designs use safety mechanisms to ensure that opening and closing windows is safe and easy. Modern sash windows can be fitted with state of the art locks to provide maximum security once they’re fitted and work with any type of window dressing from opulent curtains to smart blinds. These days most house hunters place a light and airy environment at the very top of their wish list when searching for a home. Impressive sash windows are the ideal way to let in bags of light and give your home the spacious, airy and inviting feel that everyone craves, so you can get the maximum enjoyment from your space whilst you live in it and incorporate a great selling point for the future too! If you’re planning on making major changes to your home then it pays to find products that are as flexible as possible. Sash windows can be purchased in a wide range of materials including solid wood, uPVC, veneer and metal. They can be bought off the shelf or made bespoke to fit into non-standard windows, so you’ll easily find the perfect sash windows no matter what type of home you live in or what type of window space you have.